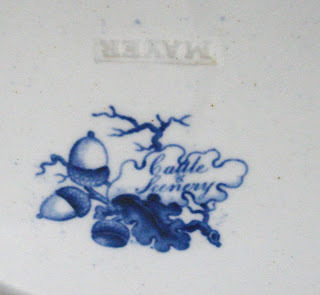 Dishy News - A Transferware Blog: WASHINGTON CITY? 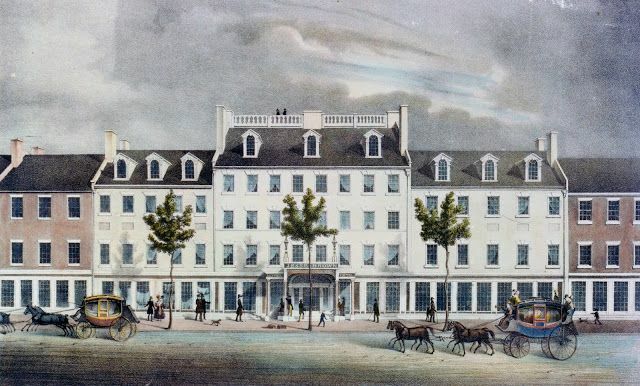 Jesse Brown purchased the Davis hotel in 1820 and renamed it Brown's Indian Queen. The Indian Queen was Pocahontas. 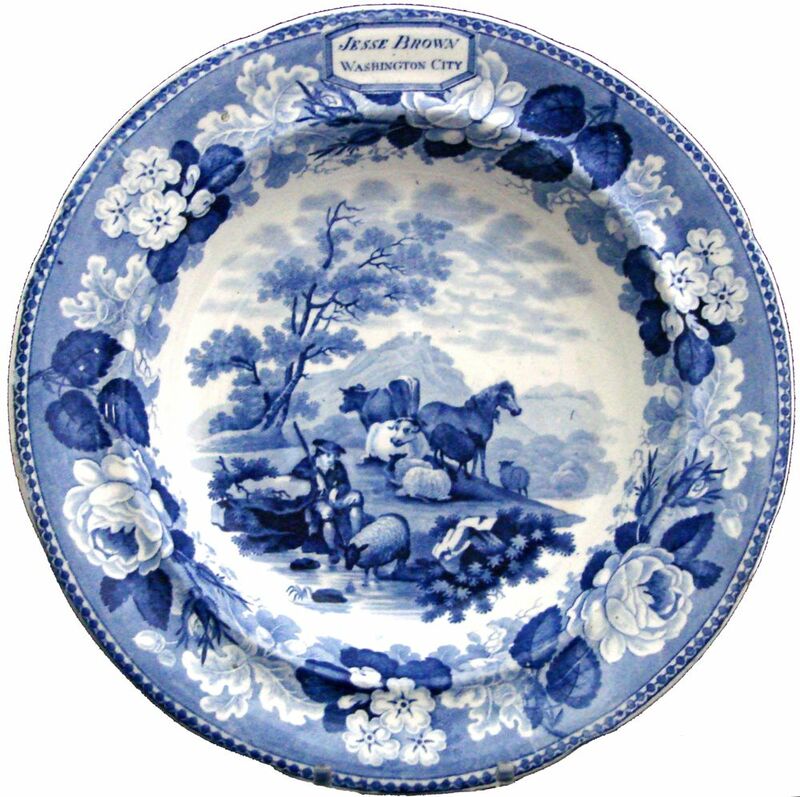 Brown ordered a dinner service from Thomas Mayer of Stoke-on-Trent & Longport in Staffordshire. Each size of the pattern has a slightly different arrangement of cattle. (The word "cattle" is used in the old way to denote all domestic farm animals and not just cows). Jesse Brown had his name and location printed at the top of each item. Such good advertising! "Cattle & Scenery" 10 inch plate by Thomas Mayer (1826-1838). Note the transfer printed name of the hotel owner at the top of the plate. I learn a lot by looking at transferware patterns!